Overhead Power Line Outages Impact Millions | R.E.T.A. Unplanned power outages often affect hundreds of thousands or even millions of electricity customers on a daily basis around the world. Overhead power lines are negatively affected by inclement weather, birds, rodents, aircraft and hot air balloons, vehicles crashing into poles and towers, farm machinery, solar storms, etc. Power outages are very costly in terms of power line infrastructure repair, lost productivity, spoiled food and other damages; and there have been deaths attributed to major outages. During the past 2 weeks, there have been millions of electricity customers around the world who have been negatively impacted by overhead power line outages attributed to stormy weather. Following are a few of these. In Canada, heavy snowfall, freezing rain, extreme cold or ice build up on power lines and trees downed power lines January 4-5, affecting over 14,000 customers in British Columbia; outages forced many schools to close. Cold weather and the weight of hoar frost on trees and power lines caused power outages December 30 in 46 Saskatchewan communities; some were without power for more than 30 hours. About 12,000 customers were without power January 3-4 in parts of Manitoba due to ice build up and high winds bringing down power lines. Freezing rain brought down power lines in Ottawa, Ontario on January 4, causing a number of outages. More than 155,000 customers were without power January 3-4 in Quebec, primarily in Montreal and area, after freezing rain, heavy snowfall and high winds brought down power lines. Another 278,000 Hydro Quebec customers were without power January 13 when cold weather caused the breakdown of an overhead transmission line. La Poile residents in Newfoundland were without power for 3 days last week after stormy weather toppled power lines. In the United States, overhead power lines were crippled by winter weather in 32 states and in Washington D.C. Rain and high winds knocked down power lines in Los Angeles, California January 8-9, leaving about 2,300 customers without power in Silver Lake and another 2,200 in Malibu. Torrential rain on January 4 left 5,000 customers without power in western Washington. On January 7, about 1,250 customers in Iowa were without power after extremely cold weather affected overhead wires. High winds brought down power lines in the Omaha metro area, Nebraska, affecting about 2,000 customers. Cold weather caused power line outages for 1,700 customers on January 7 and thousands on January 11 in parts of Indiana. Over 300 customers were without power January 4-5 in Pennsylvania due to strong winds. 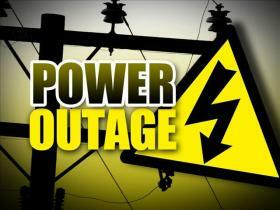 About 3,000 customers had no power January 4-5 in Lapeer County, Michigan. In St. Louis, Missouri, about 800 were without power on January 5. Cold temperatures on January 4 in Breckenridge, Minnesota left customers without power. High winds in southern Oklahoma resulted in power outages. Strong winds caused numerous outages in parts of Colorado on January 5, and heavy snow brought down trees and power lines on January 13, affecting 13,000 customers in La Plata and Archuleta counties in Colorado. About 800 were without power in Dodge City, Kansas due to strong winds and cold temperatures affecting power lines. Stormy weather brought outages to almost 6,000 customers in at least 5 Ohio counties January 3-5. Close to 2,000 customers had no power in Kentucky on January 7 due to overhead equipment infrastructure failure. Cold weather took out power for about 2,600 customers in Tennessee and about 250 in Mississippi January 7-8; power outages closed several schools in Jackson, Mississippi. About 6,500 customers had no power in northeast Arkansas during the recent cold spell. High winds, heavy rain and lightning in northwest Louisiana left 15,000 customers with no power on January 3. Cold weather knocked out power to at least 7,600 customers in New Orleans and Jefferson Parish, Louisiana on January 8; several New Orleans schools had to close due to the outages. About 3,400 customers had no power in Caddo Parish, Louisiana on January 11. A tornado on January 4 caused power outages in Crenshaw County, Alabama; then on January 7, poor weather knocked out power to 8,500 customers in east Alabama. About 2,500 customers had no power in metro Atlanta, Georgia January 3-4 after strong winds took down lines. Freezing rain and extreme temperatures in parts of Texas took out power to more than 26,000 customers January 2-3. About 1,200 customers lost power in Penobscot County, Maine on January 9. Strong winds January 4-5 knocked out power to 3,600 customers in Vermont. There were significant power outages in parts of Delaware on January 12 brought on by an icy storm. Gusting winds downed power lines in New Hampshire, leaving about 1,000 customers without power. High winds brought down trees and power lines in parts of New York on January 4, knocking out power to thousands of customers. About 3,300 customers had no power on January 7 in Maplewood, New Jersey. Strong winds and freezing temperatures took out power to about 7,000 customers in North Carolina on January 7; then thousands had no power in the same state on January 14 due to rain and cold weather. In South Carolina, 2,200 customers had no power on January 7 and another 1,700 customers had their power knocked out on January 8. Thousands were left without power in Virginia after strong winds brought down power lines January 4-9; and then, over 10,000 customers had no power due to freezing rain on the Virginia Peninsula on January 14. Thousands had no power in Connecticut January 5-7 due to strong winds downing trees and power lines; at one point, about 40% of customers in Ledyard were without power. About 6,100 customers in the Dupont Circle area of Washington D.C. had their power knocked out on January 6. Stormy weather in Hawaii on January 2 took out power to 45,000 customers on the Big Island, 5,000 customers on Maui, and about 1,500 customers on Oahu. Some customers on the Big Island and Maui were without water due to the power outages. Following are a few weather-induced power outages reported elsewhere in the world during the past 2 weeks. Hurricane-force winds, sleet, snow and driving rain knocked out power to over 120,000 customers in parts of Scotland last week; hundreds were without power for 4 days. Thousands of customers were without power January 9-12 in Ireland as the country was hit with snow and lightning storms. This week and last week, tens of thousands of customers in Finland had no power after heavy snowfall took down power lines; several thousand customers had their power taken out twice. Stormy weather in west Norway January 9-10 left 168,000 customers without power. Cold stormy weather, including snow, brought down transmission towers and lines, affecting thousands of customers in Macedonia on January 11. High winds and icy conditions, including snow, left tens of thousands of customers without power in Israel, Palestine, Lebanon and Greece January 6-7; at least 19,000 had no power in Israel. Heavy rains on the island of Java, Indonesia on January 13 left thousands without any power. Tens of thousands of customers had no power in Victoria and South Australia in Australia last week due to stormy weather, including about 123,000 lightning strikes. Torrential rains in Australia’s Northern Territory this week brought down power lines, causing outages to many more. In addition to the above-mentioned weather-induced power outages, there were tens of thousands without power when overhead power lines were compromised during the past 2 weeks by vehicles hitting poles and other power line infrastructure, squirrels shorting out circuits, fires burning power poles, sailboats hitting overhead lines and an earthquake taking down power lines. There were many other examples of the vulnerability of above-ground electricity transmission and distribution infrastructure. Many residents, businesses and governments affected by these and other outages are calling for power lines to be buried to avoid the significant costs, safety hazards, lost productivity and inconveniences associated with overhead power line outages. The above data were obtained from over 200 media sources. (Power outages caused by overloaded circuits brought on by increased customer demand during cold weather are not included in this blog.) See this link for other RETA blogs on overhead power line outages, and the growing call for lines to be buried. ~ by RETA on January 15, 2015.